Lavazza in BlackThere are 3 products. 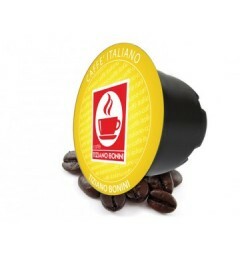 Delicate Capsules compatible with Lavazza Blue® and Lavazza in black® machines. 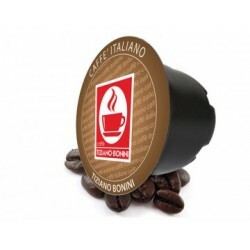 This Délicato capsule from the Italian brand Caffè Bonini is a delicate and gently fruity blend. 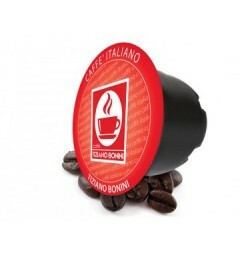 Capsules Intenso compatible with Lavazza Blue® and Lavazza in Black® by caffè Bonini. Intenso is a robust combination of arabica and robusta with all the characteristics of true Italian coffee.